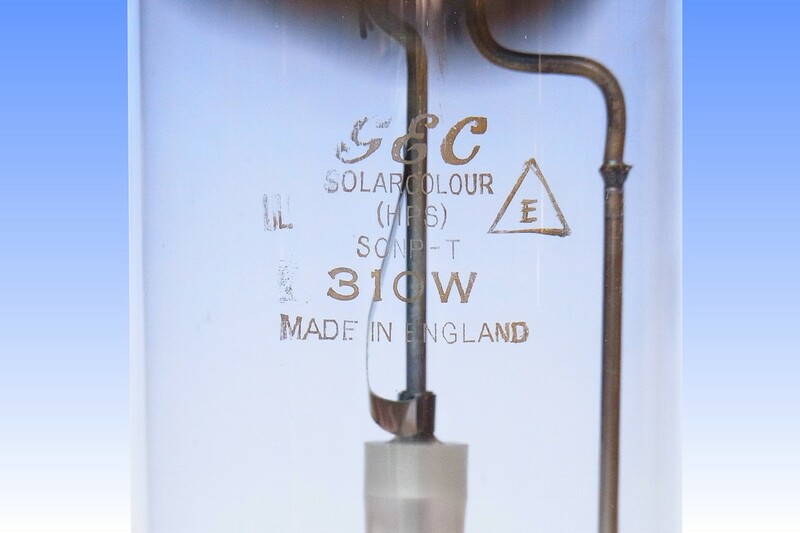 Osram-GEC was one of the first companies to manufacture the "Plus" range of HPS lamps having significantly improved luminous efficacy and lifetime. The range was introduced in 1981, starting first with a 250W rating and followed soon after by 150W, 400W and this 310W version. The performance boost was achieved by increasing the xenon pressure in the arc tube. Since Xenon is a poor heat conductor, it lowers thermal losses from the arc. The increased pressure also preserves the electrodes for longer, slowing the rate of evaporation of tungsten and emissive materials. 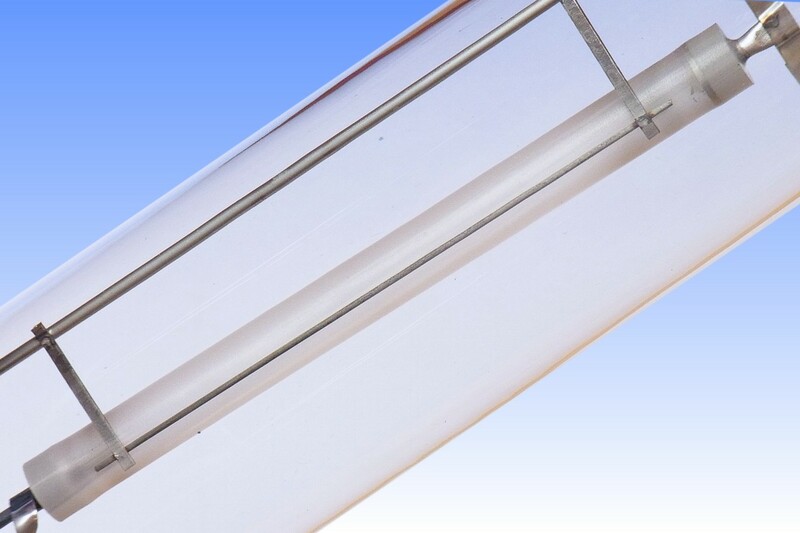 Since the primary failure mechanism of HPS lamps is voltage increase during life, and this is partly caused by arc tube temperature rising as it is progressively blackened, lamp life and lumen maintenance are both extended. 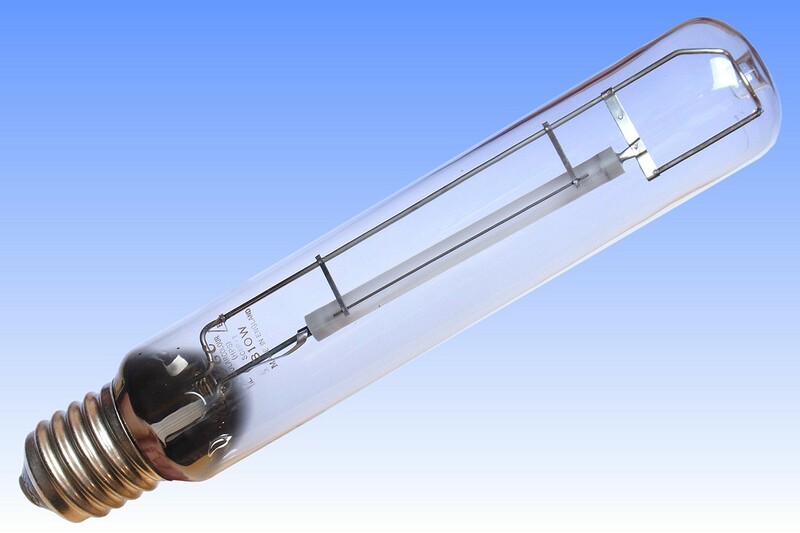 Ignition of standard HPS lamps can easily be achieved with the pulse from a standard ignitor. 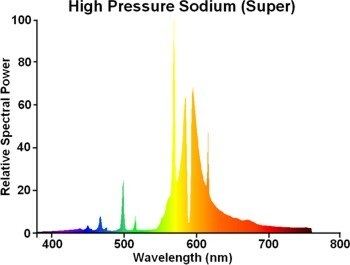 However the arc tubes with increased xenon pressure require a higher voltage. 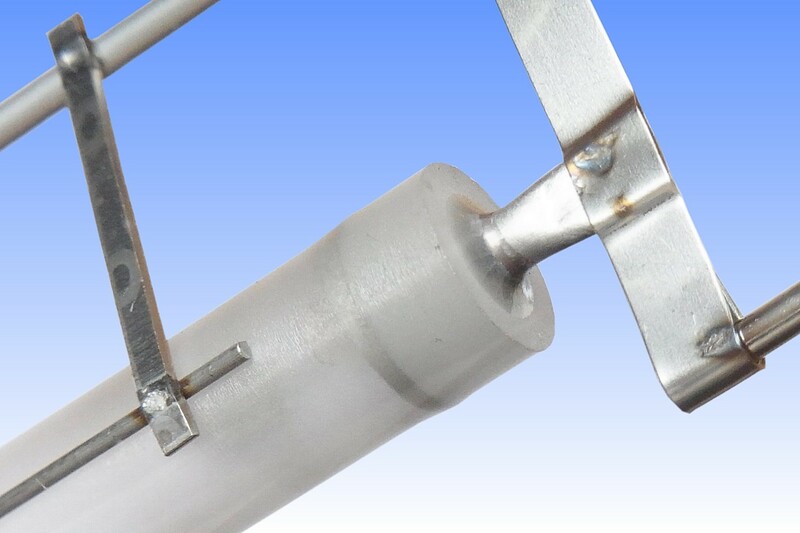 To enable starting on standard ignitors, breakdown voltage is lowered by a capacitively coupled molybdenum antenna mounted alongside the arc tube, which is connected via the support frame to one electrode. To prevent sodium ions being drawn out of the arc tube by this external conductor, it is mounted on a pair of bi-metal strips which cause it to move away from the arc tube when hot. The arc tube is GEC's later design, with a 3-part construction and monolithic end seals to niobium tubes. One end is blind whereas the other is an open tube, used for evacuating and dosing the arc tube. 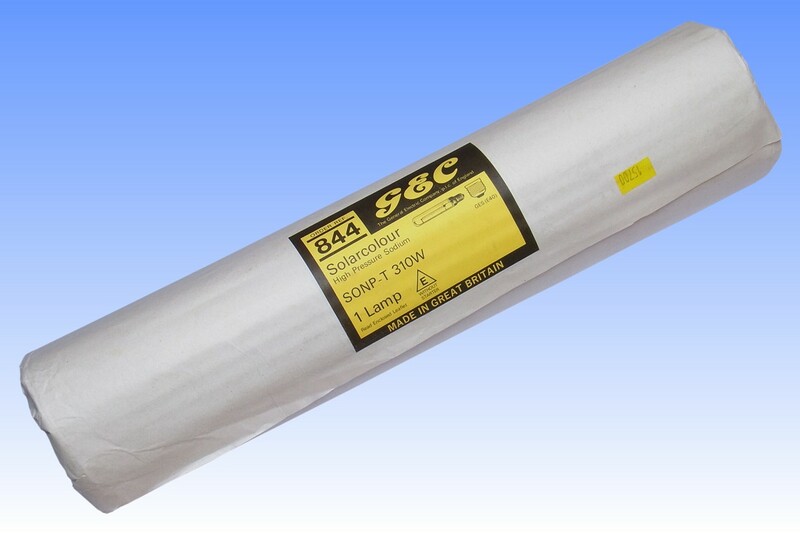 It has been sealed by pinching the end closed and arc welding the outer end of the tube.